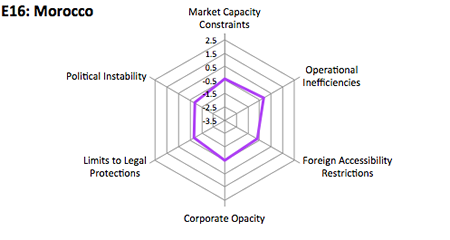 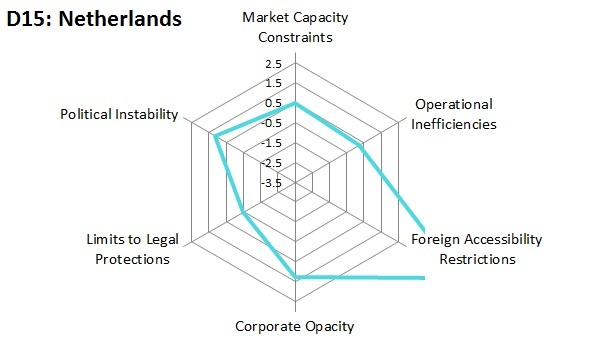 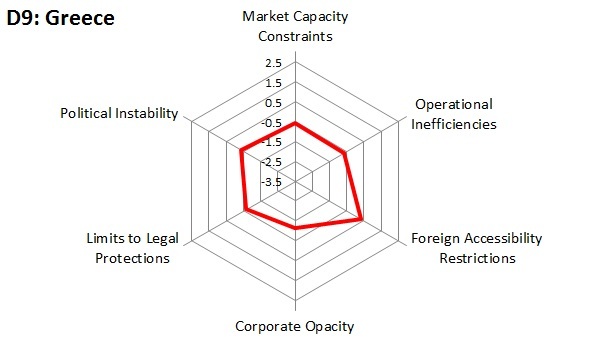 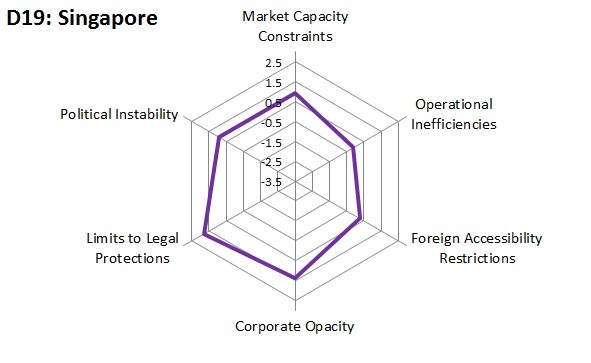 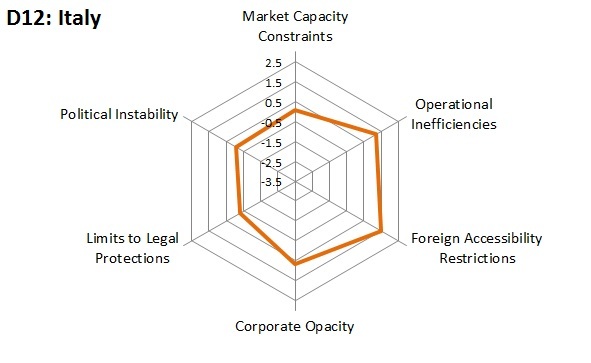 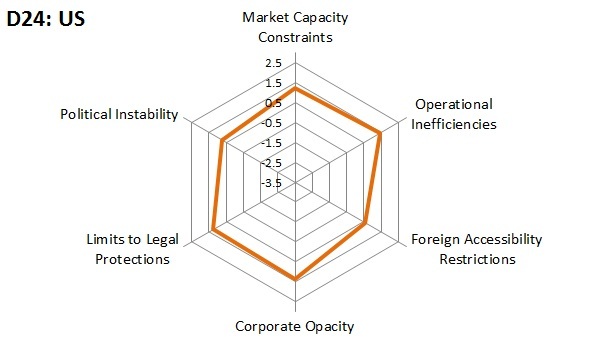 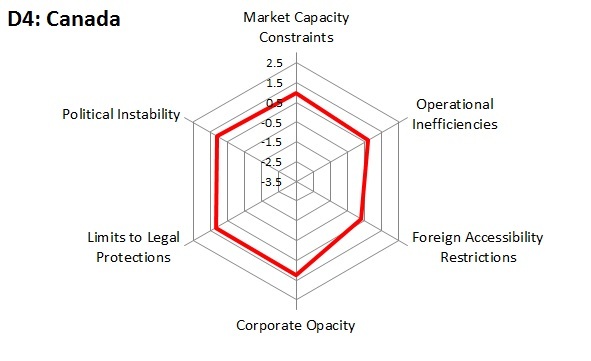 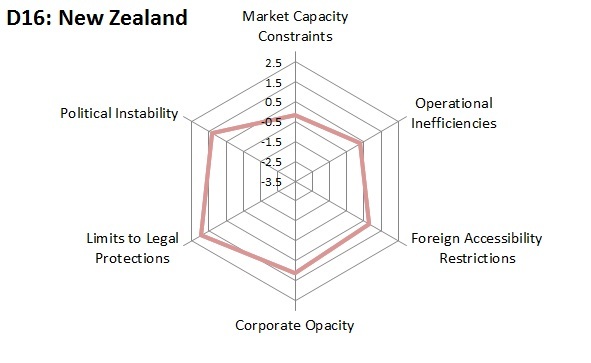 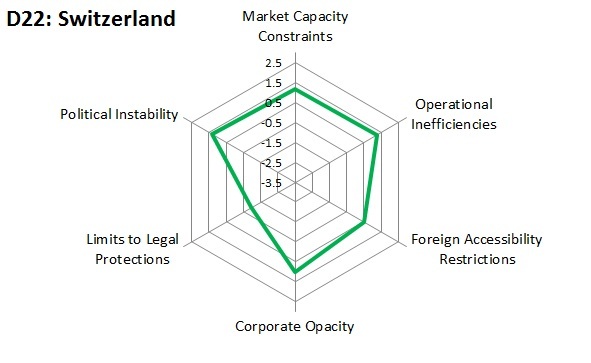 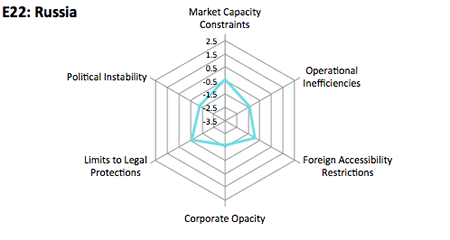 The radar diagrams below by country indicate their respective fundamental risk indicator scores in 2012. 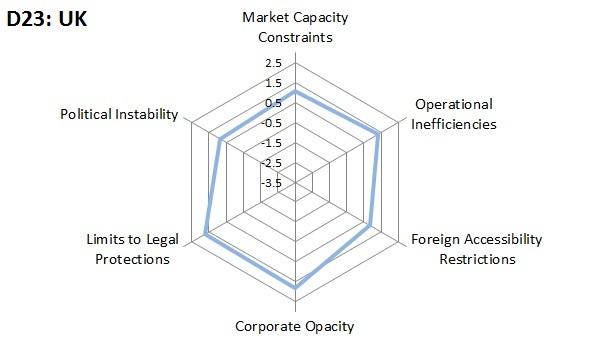 The scores are obtained using principal component analysis (PCA) using procedures explained in Chapters 4 to 9 in Karolyi (2015, Oxford University Press). 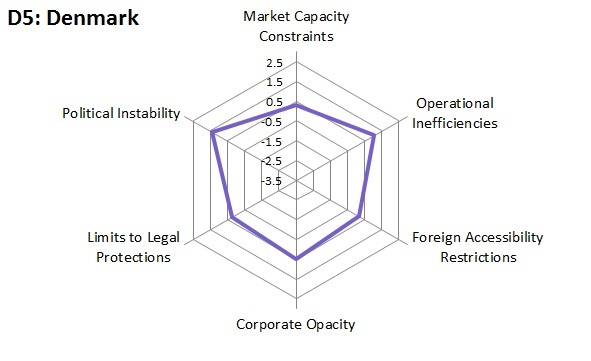 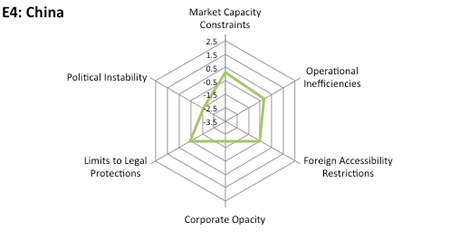 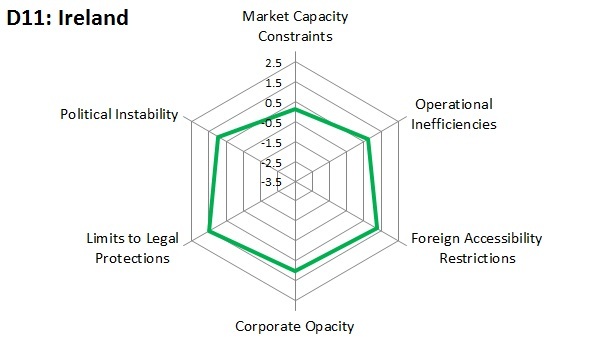 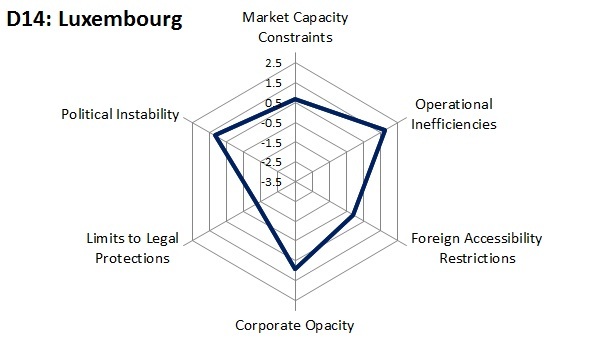 The scores are standardized on a Normal scale for all 57 emerging (shown below) and developed countries; scores that are negative indicate greater fundamental risks and those that are positive, less fundamental risks. 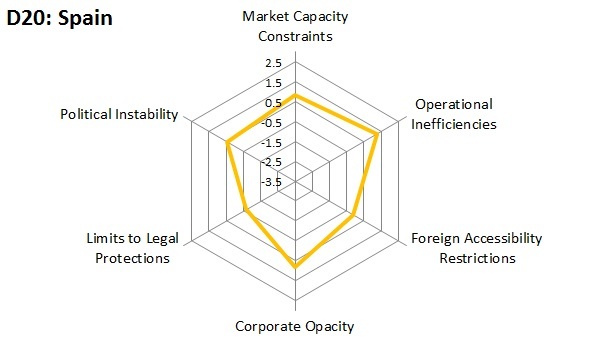 See the book for additional details on construction. Page 199, paragraph 2, last sentence: Should read “On a percentage basis, equity outflows were largest for Argentina (-$924 million) and Venezuela (-$474 million).” Table 11.1 has errors in last column in calculations of net foreign equity flows as a percentage of 2012 foreign equity holdings. Corrected table is available here. The overall regression results in Table 11.2 are correct and unaffected by this typo. 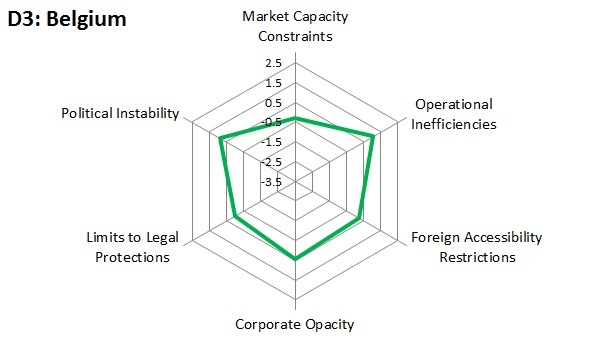 Page 94, Table 6.1. The rows associated with countries below Slovakia through to Vietnam shifted up one row in copy-editing. Corrected table is available here. The overall PCA scores are correct and unaffected by this typo. Page 99, Table 6.2. 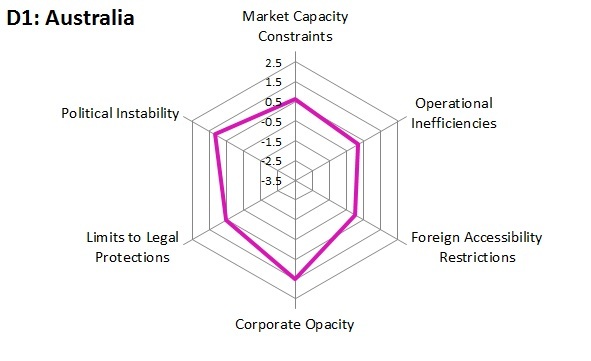 The rows associated with countries below Slovakia through to Vietnam shifted up one row in copy-editing. Corrected table is available here. The overall PCA scores are correct and unaffected by this typo. 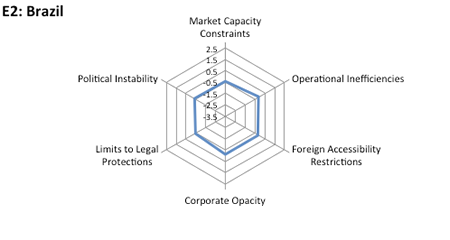 "Karolyi develops an intuitive but rigorous process to assess the operational risks, expropriation risks, and other impediments foreign investors face in markets around the world. The result is an easily understood framework that organizes what would otherwise be an overwhelming amount of information. The general conclusions make sense, but there are also many interesting and important surprises to reward the reader. Karolyi's comfortable, intuitive style makes the book accessible to anyone interested in the challenges foreign investors face in emerging markets."